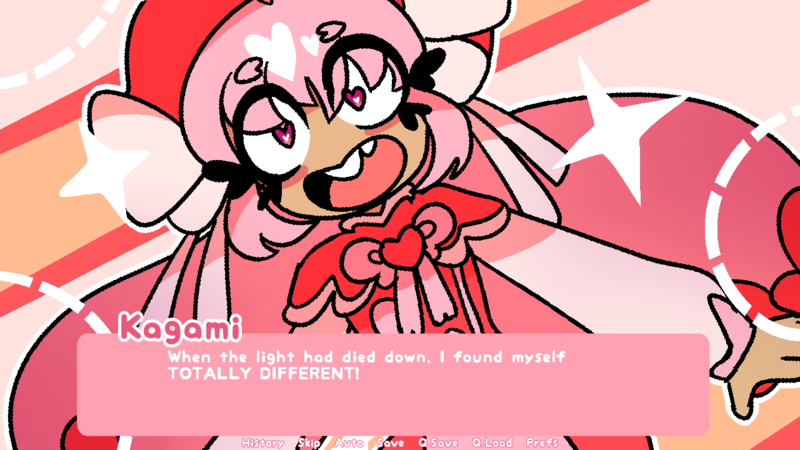 I Suddenly Became A Magical Girl To Fight Aliens From Another Dimension, or I Suddenly Became A Magical Girl is a visual novel made for Yuri Jam 2016. ...as well preventing an entire civilization of bug-like aliens from destroying Earth. But hey, that's just part of the job! Given that this is the DEMO version of the game, only one route is currently pursuable. More routes will be available in the future! 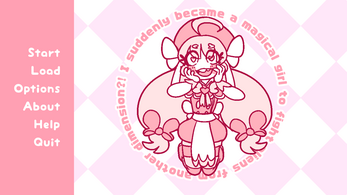 To install I Suddenly Became A Magical Girl's DEMO, simply click the file that's compatible with your computer's OS, then download the zip file. Afterwards, double-click the file and the game's folder should be opened. Is there ever gonna be the real game not the demo?? Is this gacha life backgrounds? One of my viewers asked me to play your game and so far I'm pleasently surprised by it! Can't wait for the final! 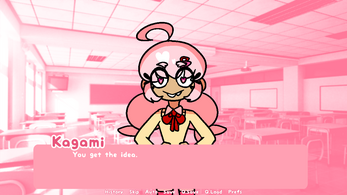 One of those screenshots looks like the classroom from DDLC. Can't wait to play this. Love the art style already! And I'm glad you like those extra touches too! omg this is amazing!! i hope more of it comes out, thank god its so good :'0!!! dont worry, im already pretty good enough with this demo, its so cool! This is adorable!! I love Kagami's smile so much. Can't wait for more routes! I can't promise that I'll get back to this project, but I do have other projects in mind! I expected this to be a short, sweet treat and ended up getting exactly that, but craving more! The art style is adorably eccentric and the writing is nothing short of charming. I'm programming a Magical Girl visual novel right now and this helped invigorate me to actually write some more. You have a fan eagerly hoping for a full release!! 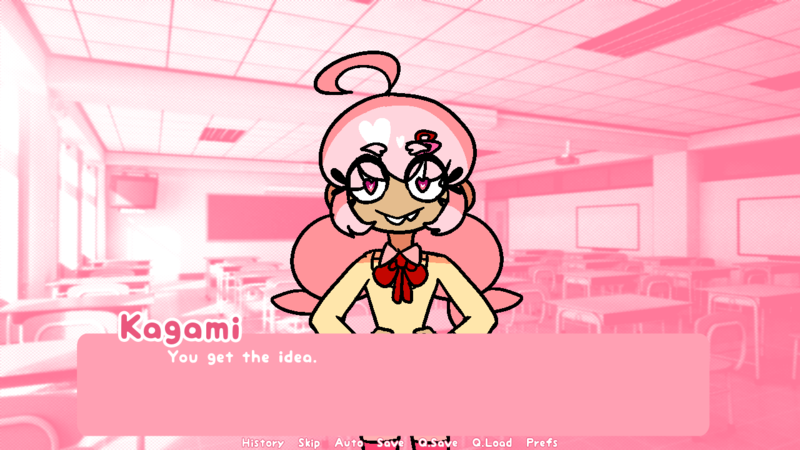 Really glad you like the game~ I can't promise for a full release of this game, but I definitely have other projects in store! I LOVED Nya-Nya XD Best mascot ever...and the story was lighthearted at times, and serious at others. This was fun ^^ I can't wait for the full version now! aw, thank you! 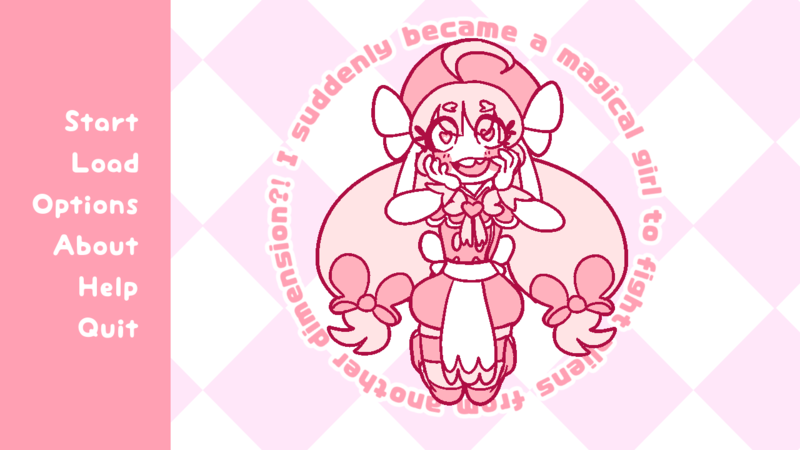 ;v; glad you enjoyed the game! This...this...is awesome. I'm unsure why. It's got such a unique art style, and that "This is the story, but believe me, even we don't think it's very believable but it's what's happening right now so shut up" vibe that I absolutely love. I haven't completed it yet (And I know this is a demo, so I haven't even completed the demo), but I can't wait to see what else happens! I'm an Otaku, so this game resonates within me like justice within a Magical Warrior of Peace Love and Happiness. 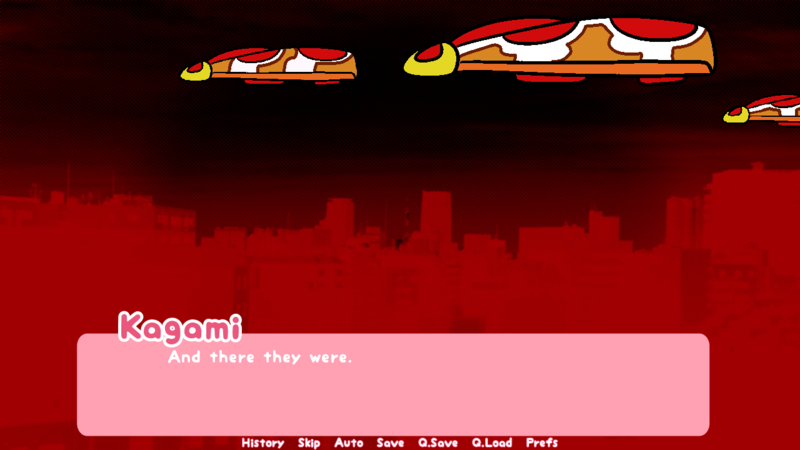 Also, I love Visual Novels, so points. Thanks so much for making this! And thanks for the LP too! !